We have many coconut plants at our farm. We are interested in Bulk Quantity Orders. 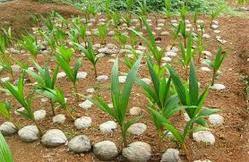 We are one of the most reliable companies in this domain and are into offering Coconut Seedling. 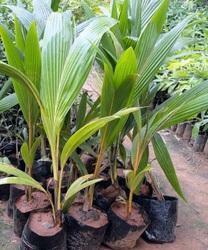 We are engaged in offering Coconut Seedlings. we offering wide range of Deejay Sampoorna Hybrid Coconut Seedling. COD (Chowgat Orange Dwarf ) seedlings are best suited for tender coconuts. It yields in 30 months. COD tender coconut water has an excellent taste. The Orange colour of the coconut adds to its ornamental value.